The Sunday porch: Richmond, Va.
West Clay Street rowhouses, Richmond, Virginia, ca. 1978, by John G. Zehmer, via VCU (Virginia Commonwealth University) Libraries Commons on flickr. 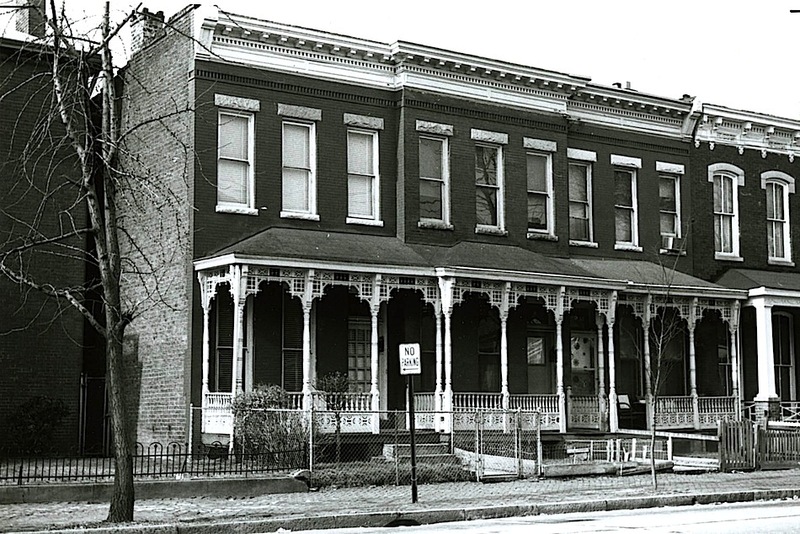 These three late Italianate houses with Eastlake-style ornamental woodwork were built between 1885 and 1890 on the former formal garden of the 1832 Addolph Dill house* — a corner of which can just be seen on the left side of the picture. Clay Street is part of the Jackson Ward Historic District. 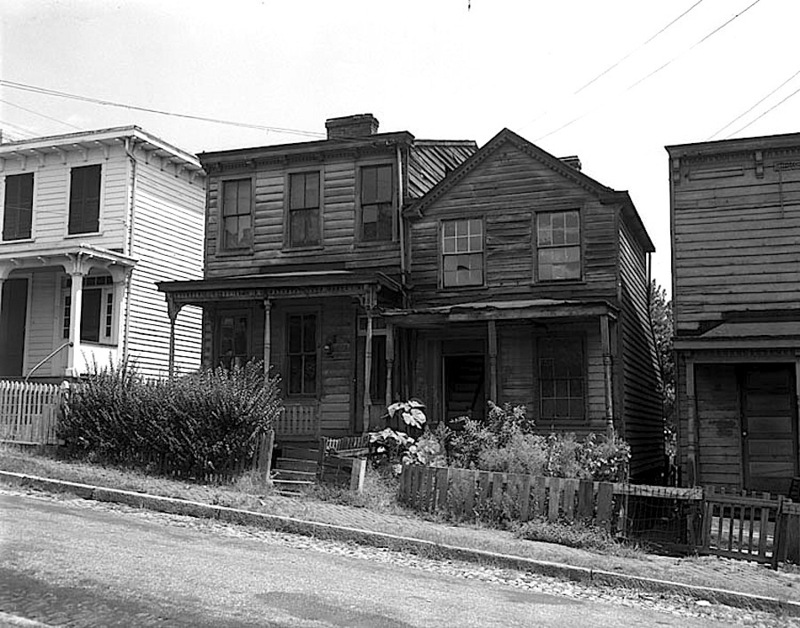 These houses still stand and still have the same beautiful woodwork. The very little street tree shown above on the right now shades more than all the space shown in the photo. *Until 2016, it was the Richmond Black History Museum.